What Happens With an Overpayment on an EBT? Social service programs in all states use debit-like electronic benefit transfer, or EBT, cards to provide the monthly benefits of the Supplemental Nutrition Assistance Program, food stamps and the Temporary Assistance for Needy Families program, also known as welfare. On occasion, errors can lead to an overpayment of these benefits. Although EBT overpayments are rare, you must follow a specific process to correct the error. The exact process depends on the state but is similar in all states. Even if the overpayment is the result of agency error, because these are federal programs, the agency is required to try and recoup the overage. All EBT overpayments must be paid back. This is true whether the overpayment was the fault of the agency or the recipient. You must contact your caseworker to notify her of the overpayment as soon as you notice it. Your caseworker will tell you if you need to fill out an official overpayment notification document or if you can simply send in a written statement including how much the overpayment was and when you received it. If the Department of Social Services notices the overpayment before you do, it will send you notification of the amount, how you must respond and the date by which you must respond. You must repay any overpayment, even if the error was caused by the Department of Social Services. The Department of Social Services can take the entire overpayment amount out of your next EBT payment or you can opt for smaller monthly deductions from your benefits until the overpayment is repaid. You can also repay the entire overpayment amount in a lump sum by cash, money order, credit or debit card. In most cases, you have more payment options if the error was the agency's and not your own. The amount of time you have to repay the overpayment or enter a payment plan varies by state. Many states will place the account into federal collection after 180 days. This means the government can seize your tax return and Social Security benefits as well as place liens on your property and assets. Can Social Security Take Money Out of Your Bank Account? 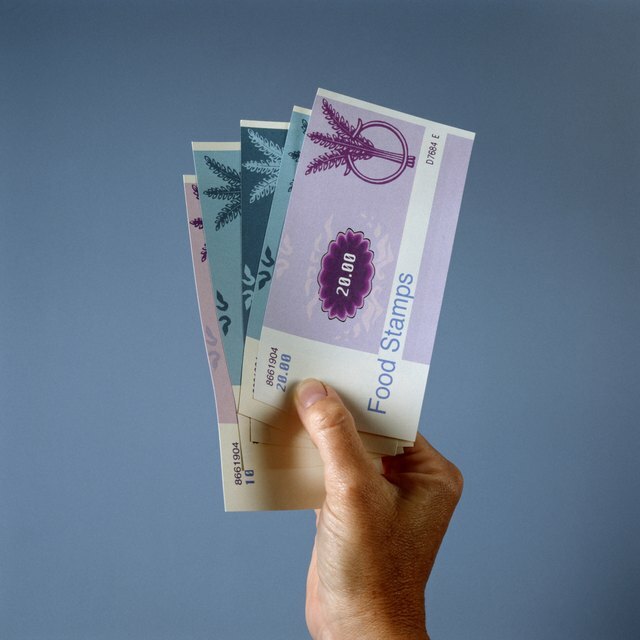 Do You Lose Food Stamps Left Over From the Previous Month? If the overpayment was a result of an unintentional error on your part, such as a typo on the application that results in calculating a higher benefit amount, you will be able to retain your benefits. If the Department of Social Services suspects the overpayment was a result of purposeful fraud, you must attend a hearing. If the hearing reveals fraud, you will lose your benefits. Pine Tree Legal Assistance: Food Supplement Overpayments: Do I have to repay?